The Wort Report: BioShock: Why Aren't You Playing It? 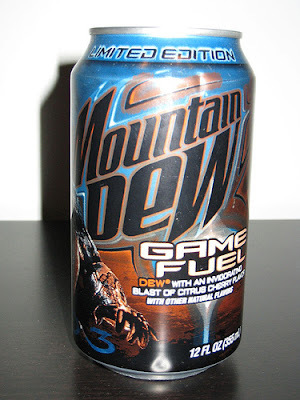 You know anticipation for Halo 3 is pretty high when it has its own Mountain Dew. Yes, that's right. The chosen caffeinated soft drink for late-night frag fests is now available as "Game Fuel," a sugary mix of citrus flavor and cherry. Think of "Code Red" turned up a notch. That's "Game Fuel." So with Halo-mania overtaking the hearts and minds of obsessed gamers as they clutch their Master Chief action figures in anticipation, BioShock has entered the first-person shooter fray and could very well knock the Chief off of his XBox 360 throne this season. BioShock has come around at a fortunate time. This summer gamers experienced a bit of a draught, enduring countless summer movie cash-in games like Spider-Man 3 and Transformers with little quality or innovation to be found. Right at the tail end of August, BioShock landed on store shelves with a thud, and those fortunate enough to snag a copy during that first week were treated to some of the most original gameplay the genre has ever seen. The following week, it was understandably hard to come by at retail. Set in an underwater dystopia, you fumble about in the darkness as the story unravels before you. Who are these psychos in bunny masks coming after you? What's the deal with these special powers you're accumulating? Why is the plot centered around finding creepy little girls and extracting their "Adam?" What is "Adam" anyway? It's very unnerving, but you'll be hooked finding out what happens next. There's also a strong customization component in the game as you collect more powers and special abilities. Ever wished you could shoot bees out of your hands? Good news, friend. BioShock lets you do just that. You've also got the standard shotguns and automatic weapons at your disposal if you're into that sort of thing. And if you're a gamer, you probably are. 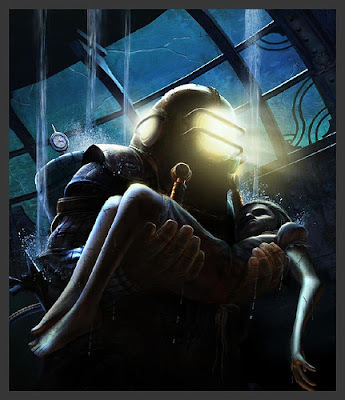 Even though the allure of Halo 3 is inescapable (as it should be), take the time out to appreciate BioShock before September 25th. While Halo always comes out on top with its multiplayer, BioShock is one of the most innovative single-player shooters of all time. Fact. Play it for yourself and prove me right.